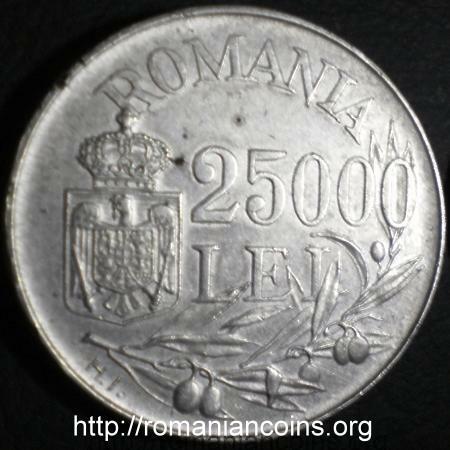 denomination "25000 LEI", ROMANIA, olive branches and Romanian coat of arms inscription "MIHAI·I·REGELE·ROMANILOR" meaning "KING OF THE ROMANIANS", MIHAI I head facing left and year 1946. 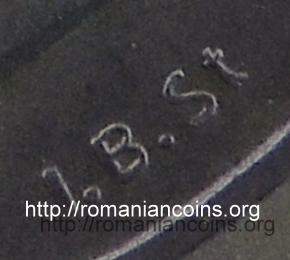 Under the neck lies I.B.St, standing for Ioana Bassarab-Starostescu, the engraver's name. 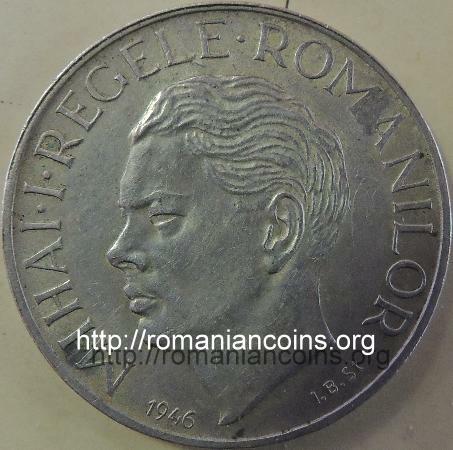 The number 1 hammered on the coin shows that this is the first piece that was struck. 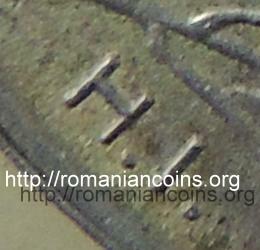 Pieces without number also exist. 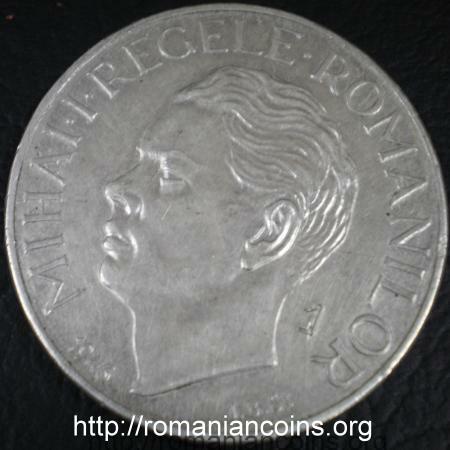 The pattern pictures above are present on Romanian coins through the kind permission of Mr. Vasilescu Ştefan Cristian. 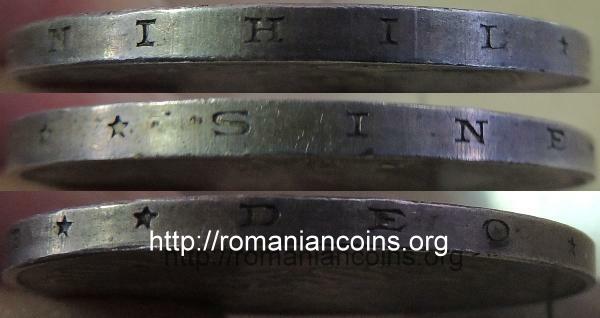 The second pattern pictures above are present on Romanian coins through the kind permission of an anonymous donor. 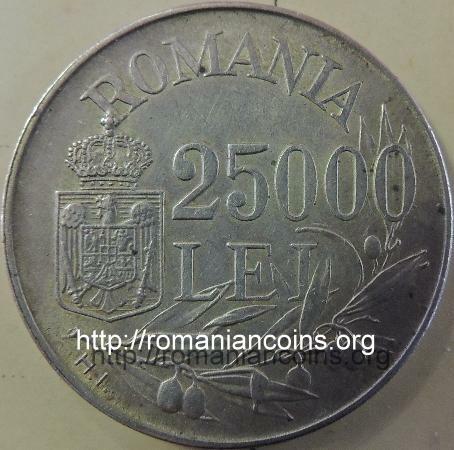 The regular 25000 lei 1946 is smaller than the pattern (32 mm, 12.5 g) and has another design.